Stop all unwanted, unsolicited, fraudulent SMS and MMS messages on your iPhone. Say goodbye to annoying notifications! Since 2015, Just Content has been downloaded by thousands of users for protection from ads and ad trackers which watch your behavior online. 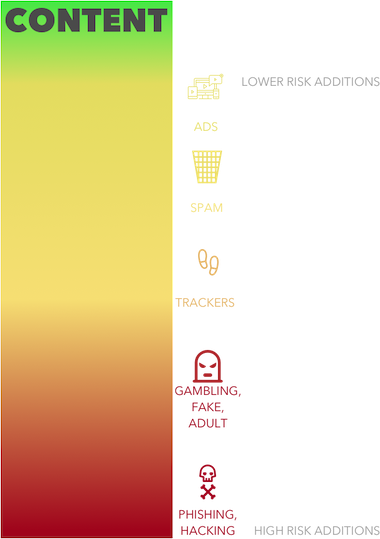 Use our on-device AI to detect and identify spam messages. Our machine learning models have been extensively trained with datasets of thousands of messages and robocalls across carriers from many countries. We are constantly training for only one thing - fast and accurate filtering. 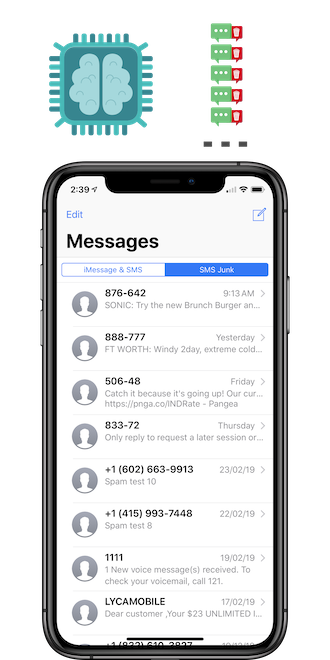 Spam messages are moved to the SMS Junk folder in the Messages app. 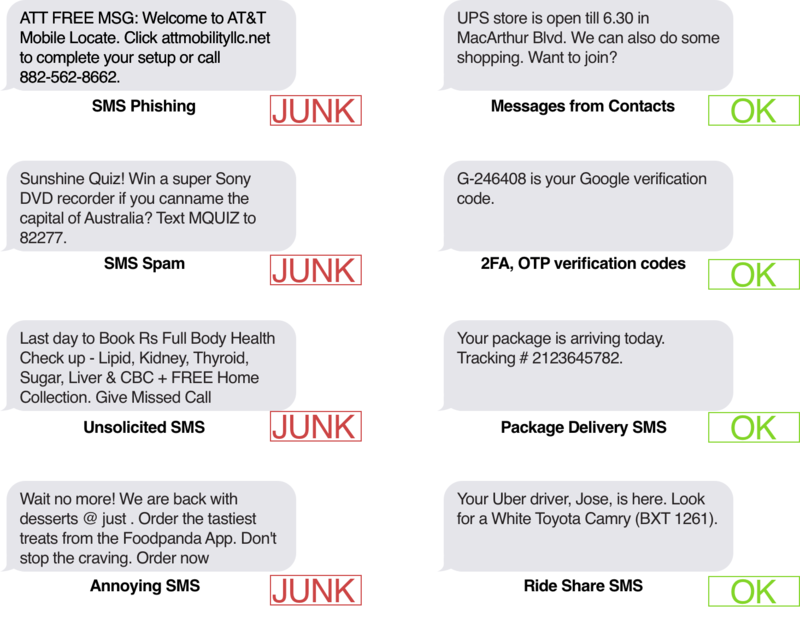 Trained to block sms phishing, spam, unsolicited and annoying SMS. Your messages never leave your device. All filtering occurs on the device and you do not need an internet connection. 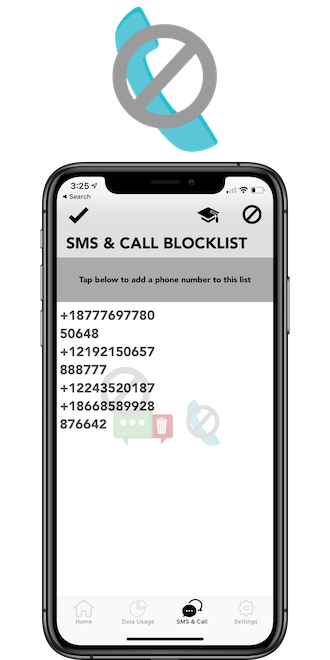 The call blocking extension detects and automatically blocks robocalls, telemarketers and suspicious phone numbers. You can maintain a blocklist of annoying phone numbers. Or allow messages and calls from numbers you trust and recognize by adding them to your whitelist. You have full control over the blocking experience. No fiddling with complicated controls, options, combinations which might compromise security. You shouldn’t need to understand technical jargon to use good security software. Use your device safely in an office or work environment. Free yourself from unsafe content, messages and calls. Or install it on the family iPad. Safeguard your family and children from unsafe links, phishing sites, adult content and hate speech found on the web.